Following yesterday's announcement of Radar Group, the new game production company from 3D Realms co-founder Scott Miller, Gamasutra sat down with executive creative director Raphael van Lierop to discuss the firm's plans. "Prey 2 & Earth No More which had previously been announced as 3D Realms titles are no no longer so. These are Radar Group titles. 3D Realms will of course be related, as Scott Miller is at both firms. Think of Steve Jobs at Apple & Pixar. It's kind of like that. Before anyone asks, this won't affect Duke Nukem Forever. Duke Nukem Forever remains a 3D Realms title, and all this Radar stuff will not affect DNF in any way, as none of the internal DNF 3D Realms staff is working on any Radar titles, other than Scott Miller in an advisory fashion." Here are van Lierop's views on the forming of Radar, then - from their need to create crossmedia IP, through their position as neither a developer nor a publisher, to why they're not targeting Wii. Can you comment on how the move to create Radar affects 3D Realms -- and Duke Nukem? Raphael van Lierop: 3D Realms has a long history of incubating, co-designing and funding external game projects, along with providing production and marketing guidance on several successful game franchises: Descent, Wolfenstein, Max Payne, and Prey, not to mention their own internal development of the Duke Nukem games. Radar is a philosophical extension of this work that Scott Miller (Radar�s CCO) has done over the past 15+ years, but is an entirely separate entity, run by different people (with the exception of Scott). As such, Radar�s existence doesn�t affect 3D Realms� internal development of games like Duke Nukem Forever, at all. Even before Radar was formed, when I was working with Scott and Recoil Games in starting up Earth No More, there was no overlap in efforts. So, we see this as a smooth transition into a completely separate entity, that is led by a group of very talented people who have worked on both the developer and publisher sides of the business � people like our CEO Jim Perkins and our VP of Strategic Developments, Dave Adams. These guys are game industry veterans who will be taking Radar much further than what could have been done by 3D Realms alone. Can you describe the products split? Many of these projects (e.g. Prey) have come from 3D Realms. RvL: Of our three currently announced projects -- and there are more in the pipeline -- two were started as 3D Realms projects. Prey is an IP that obviously goes far back into 3DR�s history, and the version that shipped in 2006 was co-developed and co-produced with Human Head. Earth No More was started in collaboration with Recoil Games as a 3D Realms project in very late 2006, but has been a Radar game for a while now (Remember, Radar has already existed for almost 9 months). Incarnate was conceived as a Radar project, taking advantage of Radar�s unique relationship with Hollywood through Depth Entertainment, our partner film company. Beyond these three projects, we have several other properties on the go, and all of these have been born as Radar concepts. What are the advantages of the production company model? Does it really work in today's market? RvL: Well, we obviously think it can work! We also have evidence, based on our current projects, that it is working. I think today�s game industry is ripe for this type of entity, and to be fair, I�m not sure there is any similar company we can point to for comparison. The other companies that we might be compared to are focused on bringing licensed IPs from Hollywood and exploiting them for games, or are quite small boutique-style groups with one or two agents primarily focused on handling deals as "middlemen". Radar is very different from those groups. Radar is a full-service concept development and game production company focused on the creation and development of original game IP. The idea is that we incubate game concepts, through partnerships with talented independent developers and enlightened publishers, to bring blockbuster hits to market. Because of our unique position, we are able to ensure our dev partners that they share in the ownership of the IP, which we all know is the truly valuable commodity in this industry and one that very few developers have the clout, on their own, to retain. Similarly, publishers have specific needs that are not always in line with what developers want -- namely, they need reliable hits that they can count on to fill a quarterly slot and keep gamers and shareholders happy. I don�t say this to be callous -- but there is a lot of money at stake and when you have these discussions with publishers and understand some of the unique challenges they face, you can totally understand why they make some of the decisions they do. So, what Radar brings to that side of the equation is insurance, essentially. We can remove a lot of the risk from the publisher�s side of the table, which makes them very happy. The true advantage of our model is that it lets everyone focus on what they are best at -- developers can make games with our guidance and our big-picture IP development methods, publishers deal with less risk because Radar funds the first stages of development, and we get to focus on shepherding the creation of original game IP that�s designed from the ground up to live in both the game and film worlds. Can you talk about the Depth Entertainment connection? Why does it matter? 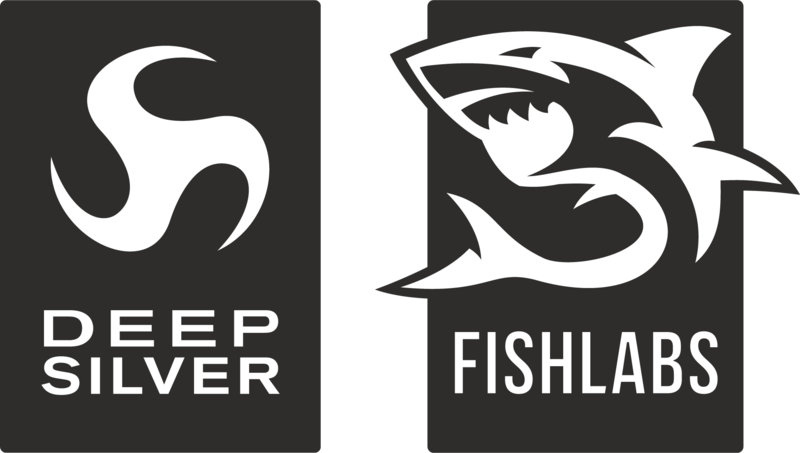 RvL: Depth Entertainment is Radar�s partner company based on Hollywood, led by Scott Faye, a highly experienced film industry producer who is currently heading up the Max Payne film adaptation. Depth matters because, frankly, we are sick and tired of seeing our favourite game IPs butchered at the theatres. Through our partnership with Depth, we get unique insight into not only what Hollywood is looking for in their film projects, but how to create out game properties so that they can make the transition to films without losing what makes them special to gamers. We treat our properties with the utmost respect. We would never let anyone in the film industry take one of our beloved properties and spit out some B-movie garbage. Are your titles being shopped or sold as movie ideas? Is the primary focus of Radar games or general IP development? RvL: Both -- Radar�s primary focus is on games, and general IP development. We don�t really see the two as being distinct from the other. But, in the case where we had to make a decision between making an IP more game-friendly or more movie-friendly, we would land on the game side. That said, we believe that there are benefits to having some eyes and ears in Hollywood and understanding what makes that world tick, so that we can create properties that work in both media (and others, like graphic novels, television, and novels, besides) and use this to make IPs that transcend the media barrier. Right now, gamers are left with a bad taste in their mouths when you talk about turning game concepts into films, and we feel the same thing. We�d like to change that, and Depth is our secret weapon. It lets us tap directly into the Hollywood mindset, knowledge-base, and talent pool. How will Radar interact with publishers? Will you work with one publisher or multiple publishers? RvL: Publishers play a pretty integral role in getting games into players� hands. They have an expertise in marketing, financing, distribution, QA, localization which all our games will really benefit from, so we�re setting up close collaborative relationships with all the major publishers so that we can collectively benefit from our respective strengths. Radar is not a publisher -- our focus is purely on creating and incubating original game IP. But, there�s not much sense in creating a great game if nobody hears about it, can play it, can understand it, etc. We will work with multiple publishers, and value those relationships as much as we do the close collaborative relationships we have with our development studio partners. Are publishers going to be used for exclusively distribution (i.e. an EA Partners model) or for total publishing services (including marketing, etc.)? RvL: Each of our projects is being treated on an individual basis, depending on its needs, the needs of the developer, the publisher, etc. In some cases, I could imagine us working with a publisher mainly for access to distribution. In others, it might make most sense for us to plug into their extensive network of resources. I don�t think we are viewing any of our relationships as a "one-size-fits-all" kind of thing. So yeah, we�ll work with publishers in whatever makes most sense for the project, and all parties involved. Are you planning for creating games on the Wii or DS? Your announced titles seem very core-gamer focused, potentially PC/PS3/Xbox 360. RvL: We�re primarily focused, right now, on properties that focus on the "core gamer", which tends to be 360/PS3/PC-centric. We�re interested in the Wii, but haven�t seen any strong concepts on this platform and for the time being we aren�t really focusing on it, and to be honest we don�t see many groups, outside Nintendo, making much money on the Wii. Historically, I think it�s been pretty difficult to launch blockbuster IPs from a handheld device (of course there are exceptions), so considering our strategic focus, it makes most sense for Radar to target the primary core gamer platforms. Your core team is from 3D Realms, and the company is known for big delays -- how can you avoid this as you move forward? RvL: On the creative side, we have Scott and myself from 3D Realms, but on the more organizational side of the business, we have Jim and Dave who come from starting up and running very successful game publishers, so I think we have a pretty good mix. We like shipping games, so none of us are really interested in the "when it�s done" philosophy, and this is definitely a message we keep hammering home with all our partners. We�re making games with clear deadlines and budgets and the goal is to ship high-quality games on time. 3D Realms is in a very unique position in the industry, having enjoyed massive success in the past and being able to march to their own drum in all respects. But, this is not the approach we plan to take with Radar projects. We are two very different companies that have emerged from a common seed, if you will. If there is one thing we definitely share, it�s commitment to quality entertainment and a stronger game industry for everyone involved. If Radar is successful and we achieve our goals, there is nobody -- not the gamers, the developers, or the publishers -- who won�t benefit in some way. We feel the industry is at a crossroads and we have taken the first step in a brave new direction. Wish us luck!